a) Plans and maps out strategies and action plans needed to develop train and obtain the required skills mix given the existing caliber of human resources to enable meet the company’s immediate and future deficiency solutions. b) Interprets and disseminates personal policy for implementation across the system, monitoring effects and ensuring uniform application of such policies to minimize industrial unrest and avoid litigations. c) Approves and reviews plans developed by subordinates in the area of training, industrial relations, manpower services and job evaluation to ensure that these are consistent with company policies and objectives. 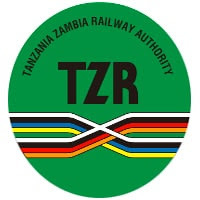 d) Confers with workers representatives, Ministry of Labour and employees’ representative from the two contracting states as and when need arises with a view to improving conditions of service in TAZARA. e) Monitors and reviews procedures involved in industrial relations, manpower development, recruitment job evaluation and remuneration of employees for their adequacy to keep abreast with the railway industry trends. f) Consolidates annual budget submission from subordinates reviews and incorporates own plans and submit for corporate scrutiny, review and approval. g) Monitors expenditure to keep expenses within appropriation. Compiles and submits monthly and adhoc reports highlighting performance, constraints and solutions thereof.